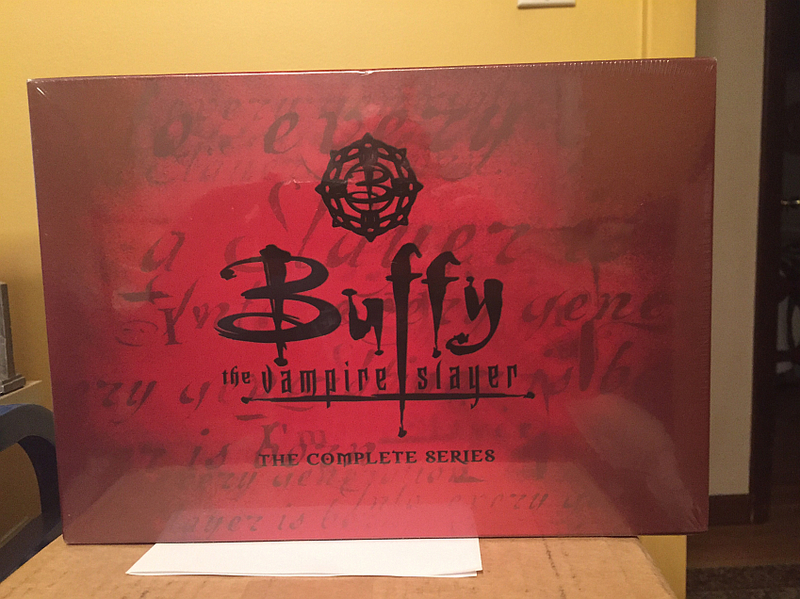 To help promote the launch of our Buffy Earpers podcast we’re giving you a chance to win a brand new copy of Buffy The Vampire Slayer The Complete Series on DVD. To enter the contest, just submit an email with the following information: Your name, your email address and your home town along with the code phrase that we play during our Buffy Earpers episode #2 podcast. The contest begins today. Submissions must be received by Friday December 1, 2017 at 11:59 PST. Submitting your email with the information in the Eligible Entry section below permits your name to be entered in a random drawing where one winner receives Buffy The Vampire Slayer The Complete Series on DVD. Include the code phrase played during the non-spoilery portion of our Buffy Earpers episode #2. Email your entry to contest@tuningintoscifitv.com with the Subject of Buffy The Complete Series On DVD Contest. The winning entry will be selected based on a random drawing from all valid submissions. One entry per person. The winner will be announced on an upcoming episode of our Buffy Earpers podcast and also notified by email.